Following yesterday’s continuous firing on the northern periphery of Donetsk and Makeyevka, which resulted in several deaths and injuries among civilians and soldiers of the Donetsk People’s Republic (DPR), negotiations took place last night in an attempt to re-establish the ceasefire. After confirmation from the DPR side that it had ceased firing, the Ukrainian army traitorously bombarded the territory of the republic. At 2000 hours, after an artillery preparation, the enemy sent two platoons attacking the positions of the DPR located between Yasinovataya and Avdeyevka, with covering fire from mortar and tanks. The attackers fell in the middle of a minefield, and had three dead and five wounded. Continuing their attack despite these losses, they lost a total of at least 15 dead and 30 wounded. 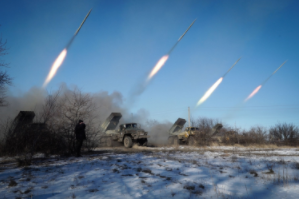 As the positions of the DPR army held up well despite these losses, the enemy attempted to make a diversion by starting to massively bomb the periphery of Donetsk and Makeyevka, with among other things, weapons prohibited by the Minsk accords, i.e. artillery of 122 mm and 152 mm and mortars of 82 mm and 120 mm. According to the intelligence services of the DPR, in view of the demoralization of the Ukrainian soldiers following the heavy losses in the Ukrainian army in the last two days, the Ukrainian command has decided to use Right-Sektor units as cannon fodder. The soldiers of the RPD recorded a strange behavior on the part of these soldiers, most certainly under the influence of drugs or intoxicated. Following this new failure, the Ukrainian army began firing farther north in front of Debaltsevo, where fighting is also taking place. Following this disaster, and after receiving the report of the losses in the Ukrainian army during the last 48 hours, Poroshenko returned urgently from Germany. The DPR’s intelligence services had access to the report of the Ukrainian Chief of Staff Muzhenko, which was forwarded to the so-called Ukrainian President, concerning the actual losses of the Ukrainian army for the days of January 29 and 30. To this must be added the losses of Right Sektor last night in Adveyevka, ie more than 15 dead and 30 injured … A total current (which is still likely to be revised upwards), 93 deaths and 106 Injured on the Ukrainian side. Despite this bloodbath, today from 4 am, after an artillery preparation, the enemy continued its attacks in the industrial zone of Avdeevka. With three platoons they tried to circumvent the positions of the army of the DPR by the flank. The DPR army returned fire to contain the enemy. Following the bombing of Donetsk, Gorlovka, Yasinovataya and Makeyevka, six houses were damaged, as at 242 Kouibycheva Street, where the roof of a 9-storey building was hit by a 122 mm shell, and a gas pipeline was damaged in Yakolevka. There are two wounded among the civilians. Rails have also been damaged near the station, and several localities or districts of Donetsk are without electricity. The actual losses of the Ukrainian army are kept hidden from the public in order to avoid causing panic among the Ukrainian armed forces and the population. To justify such losses, Poltorak said they had advanced 10 meters when in reality they lost. On the side of the army of the DPR we had 4 dead and 7 wounded during the attacks on the positions located between Yasinovataya and Avdeyevka. In order to allow the repair work, the DPR proposed to establish a ceasefire, which it already respects, to avoid a humanitarian catastrophe. But this morning, new shots hit Donetsk, cutting off electricity from the Zasyadko mine and blocking 203 miners underground. The miners are being evacuated. At the same time, the reconnaissance units of the DPR;; army saw right Sector units firing multiple Grad rocket launchers at positions of the regular Ukrainian army, causing panic in their ranks. The goal is of course to accuse the army of the RPD of being responsible for these shots. And at 1120 hours the Ukrainian army fired 120 Grad rockets at Yasinovataya and its periphery, in addition to 120 mm mortars, and 152 mm artillery. And an hour earlier, the Ukrainian armed forces tried to break through the lines of the DPR in the South near Kominternovo. 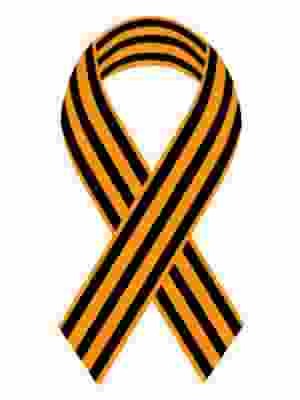 The units of the 36th Marine Brigade and Right Sector had 14 dead and dozens of wounded, and retired in disaster.